I get really bothered when I have to put on makeup just for the needs of a few hours, but unfortunately for me this is happening a lot lately as I'm doing silly four hour evening shifts at work. It really makes me wish I was the type of girl who would go to work with a bare face, but as I'm not I have had to just make do, cutting down my usual makeup routine to a quicker no fuss one that still makes me look like me. To start with I went straight to foundation, I use my trusty Rimmel Match Perfection mixing two shades together to match my skintone, blended in with my favourite Real Techniques Expert Face Brush. I then went onto using Maybelline Fit Me concealer, gives great coverage for hiding those imperfections and is quick and easy to blend in with my fingers. 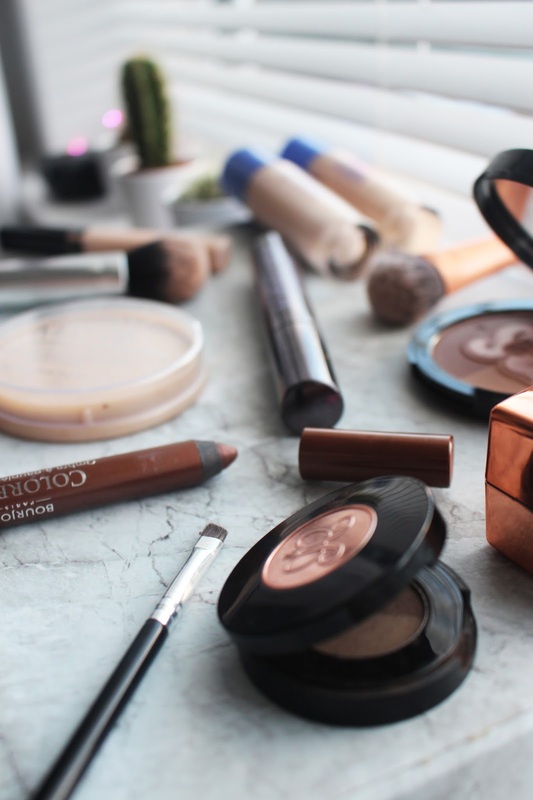 After the base is done I like to go onto sorting out my eyebrows, picking up my Anastasia Brow Duo Powder and Anastasia Duo Brow Brush, this is probably the decider of whether the makeup look is going to be quick or not! The easiest part of this look is the eyes as I use the Bourjois Colorband in the shade Brun on the lower lash line and all over the lid blending in with the finger, building it up for a darker colour if wanted. To finish off the eyes I use my trusty Urban Decay Perversion mascara. Then it's on to the quick and easy finishing touches, using my Real Techniques Powder Brush with the Rimmel Stay Matte powder to stop and prevent shine. Then it's about adding colour and doing a bit of contouring with Soap and Glory Solar Powder and the Real Techniques Cheek Brush out of their Nic's Picks set. To keep this a no fuss look I finish off with my favourite gold Balmi Cube, much needed in this cold weather to prevent chapped lips. 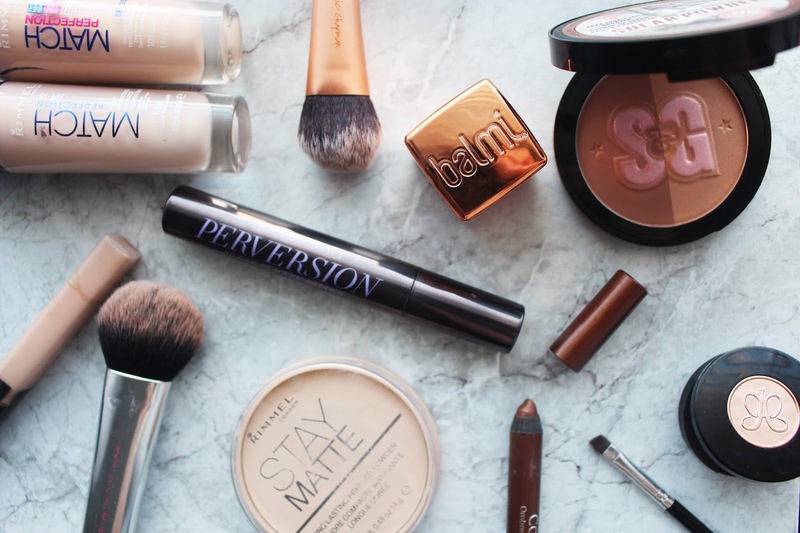 Do you have a speedy makeup routine?